Second, I'm only one person (i realize this fact probably wasn't up for debate), so I can't possible look at every blog and button on the web. 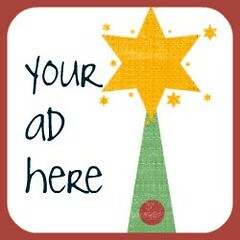 Please feel free to e-mail me if you love your button and think it would make a good feature. I have a little waiting list, but I try to make sure the buttons featured each week represent a mix of blog types, colors, designs, etc. I would love to check out your button and put it on the Monday's Button feature list! Now, let's get to it . . .
Every time I look at this first button I can't help but smile. I HAD to know what the story was behind it, and Natalie over at Mommy of a Monster was so willing to answer a few questions for me (and you). 1) What is your blog about? My blog is about being the mommy to three under three...a toddler (my monster) and 9 month old twin girls. It's a "real" mommy blog. My life is chaos, and I'm not afraid to give all the good, bad, and ugly details of it. But I don't only blog about being a mommy. I blog about things that are important to me - gardening, reading, being a woman, challenges of having a life vs. being a mom...anything and everything under the sun. 2) How do you think your button reflects your blog? I love my button!! It represents my blog perfectly - I'm a monster sometimes, too, so it's not only representing my son, the monster. And people that read my blog regularly know it when they see it. And that is important to me. I am glad that the button and my blog are cohesive. 3) Did you craft your own button or did you commission/inspire someone else to craft it? If you crafted it, what program/software did you use? I found A Novel Idea (click here for link) through the blogger's other blog, Ten Thousand Hugs. Mary Elizabeth has a fun button that screams, "THIS BLOG IS ABOUT BOOKS!" My blog, "A Novel Idea", is all about bringing and children and literature together! I do book reviews and recommendations, provide literacy tips, and showcase a children's book author and / or illustrator each week. I am a former elementary school teacher with a Masters Degree in Curriculum and Instruction, so that is where my expertise on this topic originates. I also have four small children, so I keep up with children's literature on a daily basis!!! My button shows books, along with a playful font that is reminiscent of children. It also has a large capital letter "A" that indicates the grade assigned in school for excelling, thus, sending the message that reading is a huge part of success in school. I used "Smitten Blog Designs" to create my button. They charged $15.00, and I was exceedingly happy with the results!! I would highly recommend them - they were awesome! I love my button - it was worth every penny! 1) What role do you think a button plays in promoting a blog? I don't know yet - but I am told they will help! 2) What do you think your button says about your blog? Class and artistic flair? I hope they fit into the blog name a little. I intend for the blog name 'those northern skies' to convey a sense of large dark skies scattered with stars. Since I don't take night sky photos - I searched through my photos for a shot that I thought might convey the same idea. I thought the black and white photo with the small star-like flowers would perhaps do the trick. While I am currently focusing on my blog as a craft blog, I still like to keep my photography out there and it is my hope that the buttons will do that. 3.) Did you craft your button or did you inspire/commission someone else to craft it for you? If you crafted it, what program did you use? I made my own button using one of my photos and my photo editing software Jasc Paintshop Pro. 1) What do you like best about your button? I like the letters "Colorful" in my blog button. The different colors and patterns represent my family. We are all unique and fun and I believe that will pull you in, right?!! 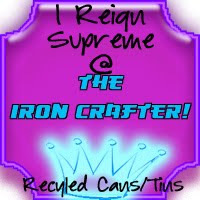 2) Did you craft it yourself or did you commission/inspire someone else to craft it for you? If you crafted it, what program/software did you use? Yep I am one of those moms that splurges on me, myself, and I. So this last year for Christmas I decided I wanted somebody to design my blog. Every time I get on I smile and say it's a bright cheery day! I chose http://thepolkadotpig.blogspot.com// to create my blog style. I had to choose a scrappin kit and then we went back and forth regarding the design. She was wonderful to work with and timely. I am so thrilled with how it turned out! 3) What do you think is the most important thing about a blog button? I wanted a blog button that would entice you to come visit! One that screamed high energy, and lots of fun! So the ? is what does my blog button say to you!? Check out the blogs behind these buttons. You might find a new one to follow. Thanks for sharing my button!! And congrats on making IC finalist!! I really love this segment. I wish I had thought of it myself since blog buttons are a nice quick sneak peek into the blog. Genius! :) Such a nice shout out! 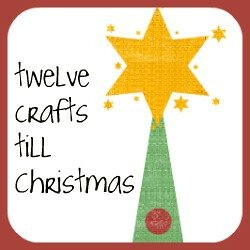 I have a message for the webmaster/admin here at twelvecraftstillchristmas.blogspot.com. Can I use some of the information from your blog post above if I give a backlink back to your website?